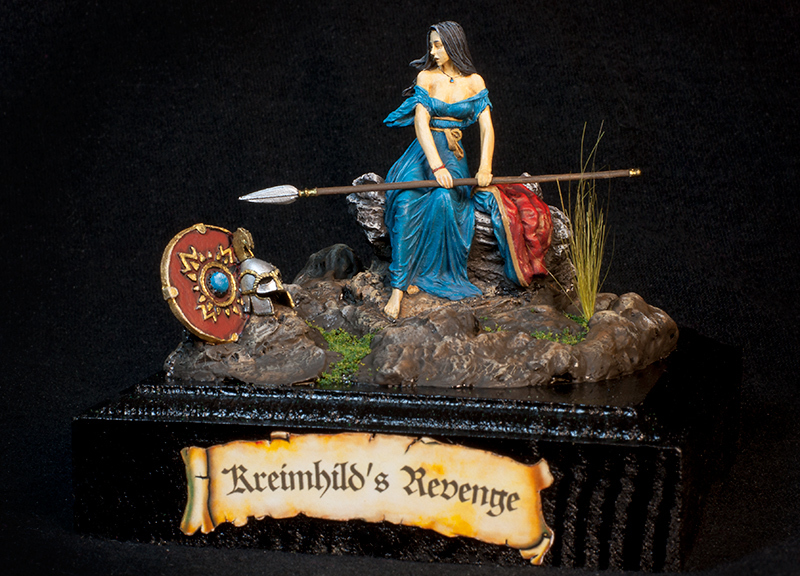 I’ve discovered that there are often sort sort of online miniature contest going on. Whether it is just a simple challenge in a forum or a bigger contest sponsored by the manufacturer. I’ve participated in a few so far, and will participate in more as I see something that looks fun and interesting. Now, I have no illusions of winning a contest, or even placing in one, but I still enjoy it. 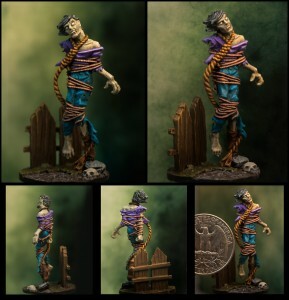 I think it is easier to appreciate the work of the other contestants when they have been painting on the same figure, or a figure similar to the one you’ve painted. 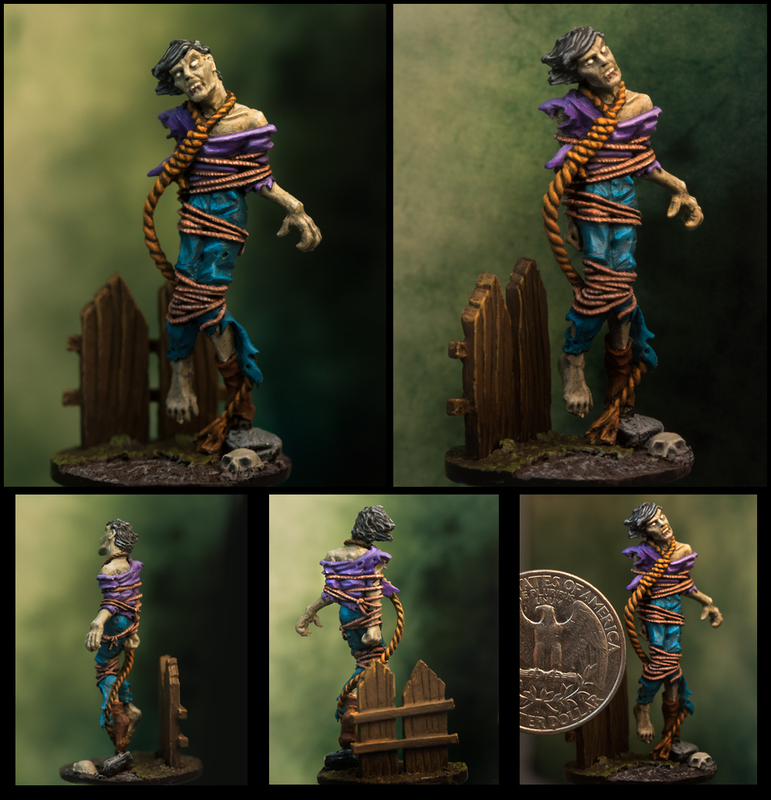 In the Wyrd Miniatures contest I entered the Hanged figure. This one did not win anything, but I hadn’t really expected it too. I still had fun painting it and voting for the other entries in the contest. Currently there are three contests that I am thinking about participating in, though often I never get around to actually painting anything before the deadline for submission. Another Wamp contest. This is with Red Box Games. I had never heard of this company before, and I can’t understand how I could have missed them. They have a lot of great looking figures. 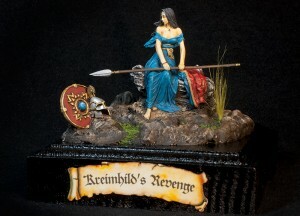 This is the company of Tre Manor, a great miniature sculptor. I have painted a couple of his figures already that he made for Reaper Miniatures. I looked through the site, and found at least a dozen figures I want to order. I will try to narrow this down to one or two, and get them ordered. This contest is not due till August 24, so I have some time to work on that.